Being head over heels in love with all things sweet and with a name like Carrie Cakeaway, I'm unabashedly dessert-obsessed and cake-minded. The proof is in the pudding: I've come to associate almost every single holiday and special occasion with a particular sweet -- be it a generously frosted cake with sprinkles (birthdays), a warm, spice-filled slice of pumpkin pie (Thanksgiving), or an indulgent libation like rich, rum-spiked egg nog (Christmas). Well, ladies and gents, I hope you need no reminder that it's Cinco de Mayo and time for a refreshing margarita...and perhaps one of my signature margarita cupcakes! 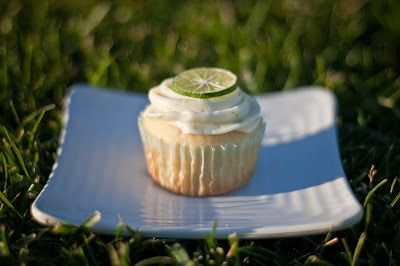 Heather requested a second round of margarita cupcakes for her friend's Cinco de Mayo party over the weekend, and my assistant and I were happy to oblige. 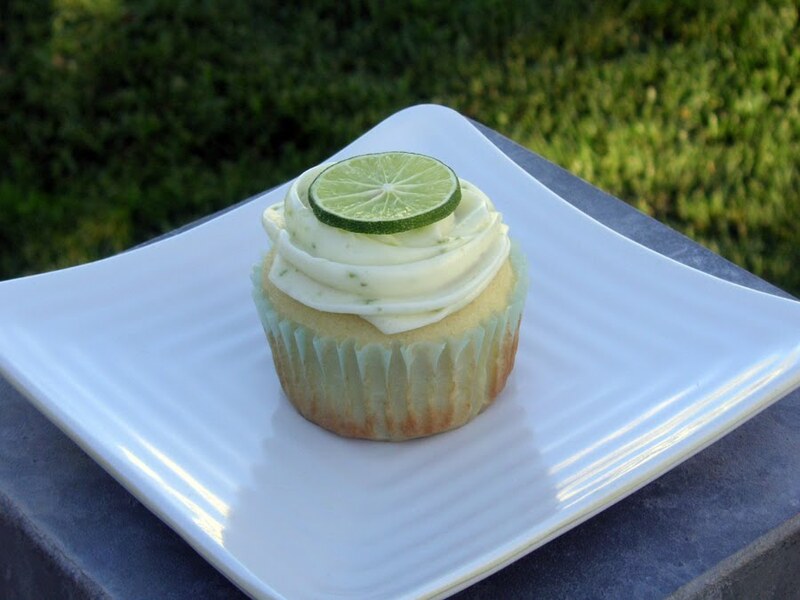 Sweet little buttercakes were infused with tequila, filled with tangy lime custard, and topped with lime cream cheese frosting, a fragrant key lime slice, and a sprinkle of course sea salt. No straws this time because my assistant so obnoxiously reminded me that margaritas are rarely -- if ever -- served with straws. 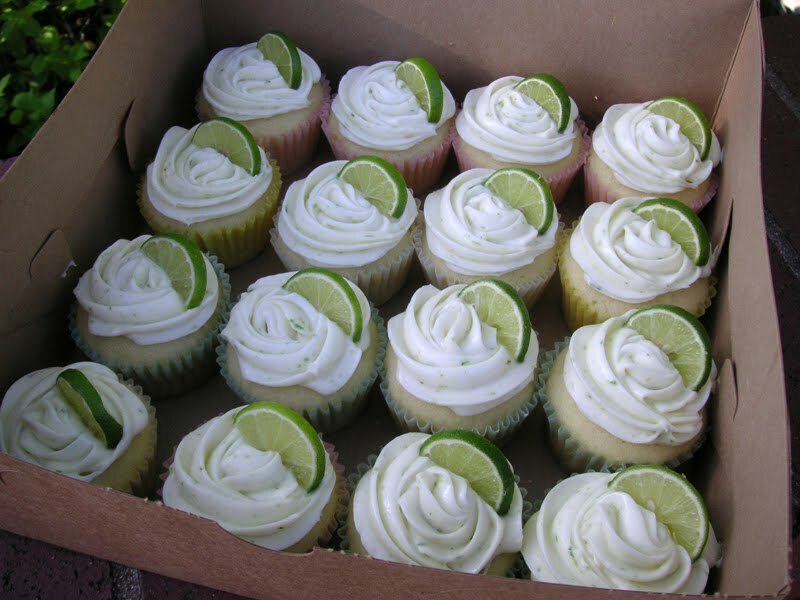 I know that...but they're just so cute (albeit entire nonfunctional) on a cupcake! Heather, thanks again -- I hope these festive little party favors helped get the fiesta started and that you and the party guests had a fantastic time. And happy Cinco de Mayo to all! P.S. Thanks, Alastair, for these lovely close-up shots. SLRs are amazing, and now my assistant's little point-and-shoot has developed an inferiority complex.